My name is Purr-baby — can you guess why? Could it be because I’m one of the sweetest little purr-machines around? I think so! 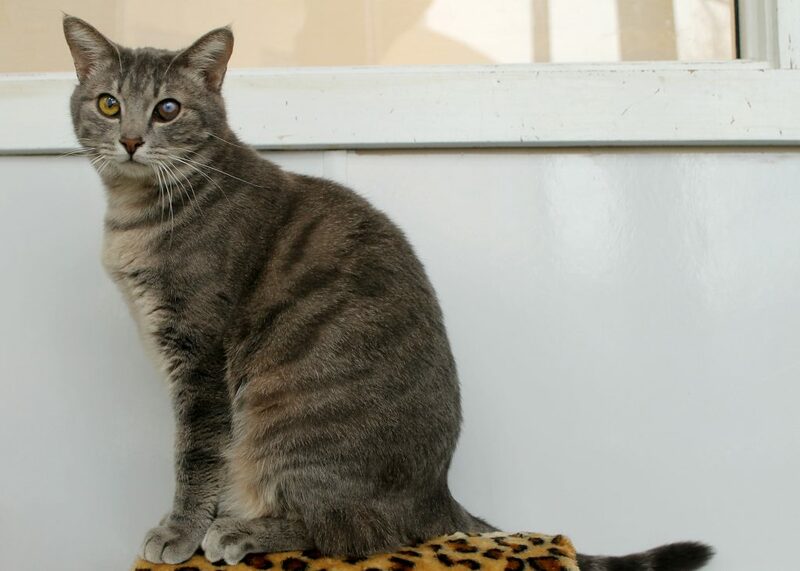 I’m a soft and squishy 1-year-old gray tabby girl with so much love to give! I absolutely adore other cats and love to groom them, play with them, and wrap my arms around them for snuggles when it’s time for a nap. I also love people, and am a very social girl! I’m currently living in the Pixie cattery, and I’ve adjusted to my new environment very quickly. I’m very confident and have no problem being around little kids — I find them pretty entertaining, in fact! Nothing really seems to phase me, and I know I’d be a great fit for a family with lots of activity and friends both furry and two-legged. You may notice that I have some scar tissue over my left eye, but I have been checked out by the vet and although my sight may be limited in that eye, it is not painful and there’s no need for surgery or any treatment at this time. 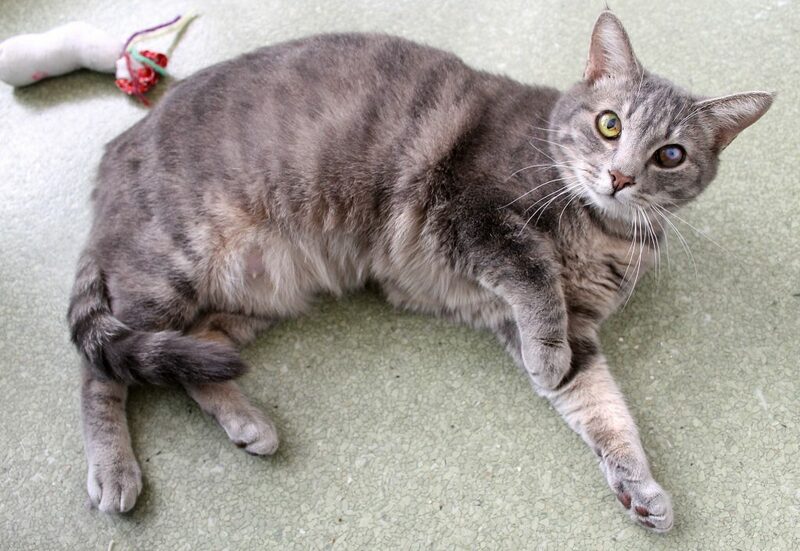 I’m overall a very healthy cat and am definitely ready to find my forever family, so come meet met at Pixie today! I comet to you fixed, vaccinated, and micro-chipped for an adoption fee of $100.